We offer POCKET SQUARES in assorted colors. 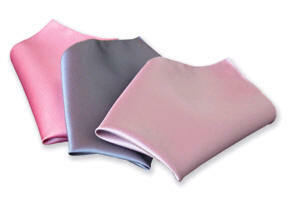 Description: Colored Pocket Squares - polyester and satin.10" X 10", Made in U.S.A.
More colors not shown are available. We offer a variety of pocket squares, mens black pocket squares and variety of colored pocket squares to help fit your formal wear needs.